Jose Canseco can somehow relax knowing that we’ve now seen some boneheaded plays in the outfield thus far this season. Earlier this month, Cardinals outfielder Marcell Ozuna gave Canseco a run for his money. 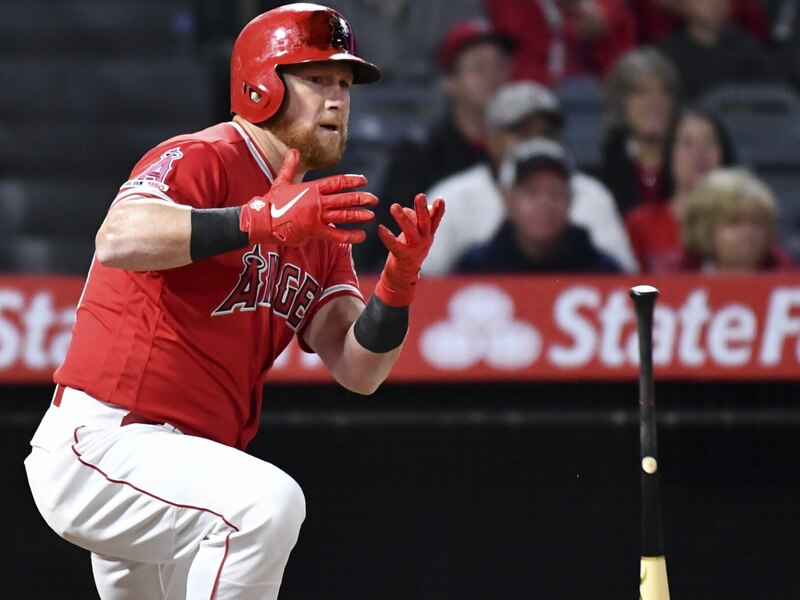 While it was a tremendous effort from Kole Calhoun Tuesday night, the Los Angeles Angels outfielder pretty much gifted the Texas Rangers two runs. Down 1-0 in the bottom of the fourth, Calhoun attempted to track down a fly ball off the bat of Rangers third baseman Asdrubal Cabrera. What followed was a gaffe of epic proportions. This play could have gone one of three ways. Calhoun had an opportunity to catch the ball and end the rally there. Even if it had bounced off his glove and stayed in the field of play, we’re looking at a likely double. Instead, the ball bounced off Calhoun’s glove and over the fence for a home run. That’s as much bad luck as it is a poor performance from a usually solid outfielder in Calhoun. Alas, it was not to be for the Angels.